Not so long ago I was in my local Superdrug, I was in there looking for something that wasn't this product. But I think there was a 2 for 1 offer and I thought I'd pick up a new moisturiser. I am so glad I decided to randomly pick this one up. It is lightweight and blends in easily which makes it easy to use in the morning as well as the evening. Sometime's I will use this before my makeup instead of a primer. 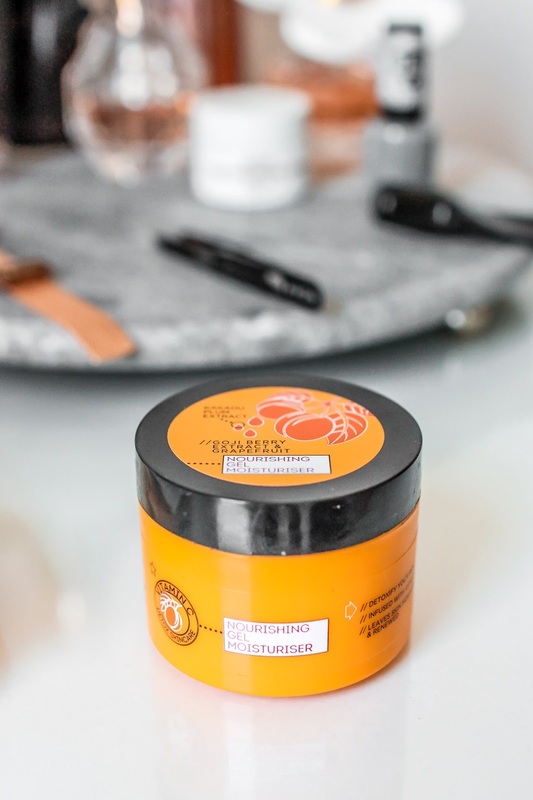 It leaves my skin feeling so soft and contains Vitamin C which reduces pigmentation and brightens the skin which is exactly what my face needs. The only downfall is that is doesn't have SPF, luckily my foundation has SPF 20! I was recently sent two products from this Australian brand to try out, as they are going to be launching in the UK in June. First of all, I love the minimal packaging - it is everything! 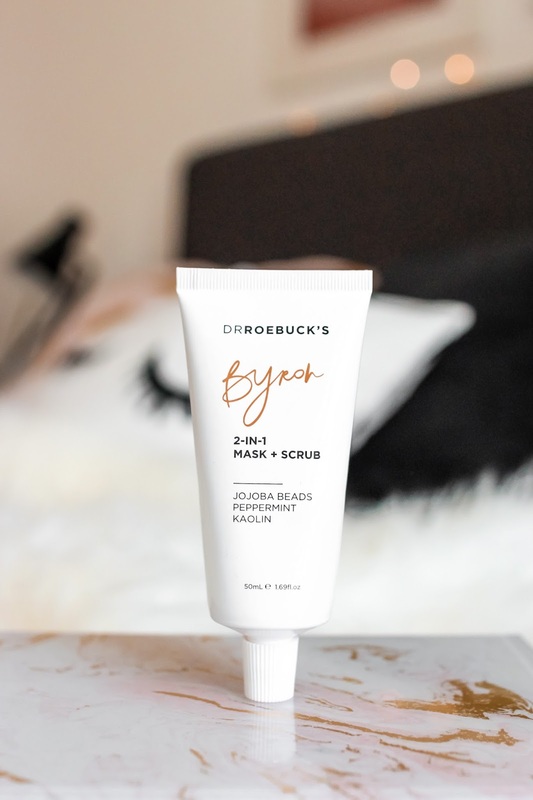 Dr Roebuck's has created a range dervived from minimum ingredient meaning that it is vegan & cruelty free and paraben, sulfate and gluten-free! This mask and scrub is amazing for hydrating your skin and is suitable for all skin types. 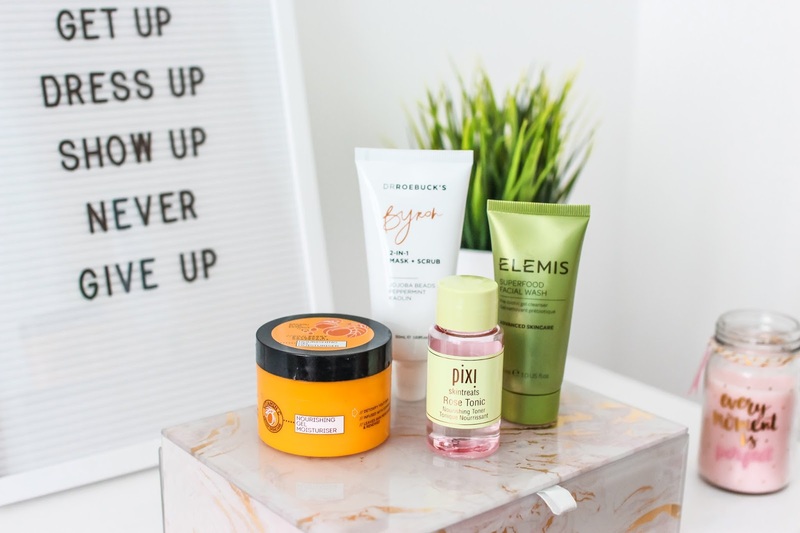 I've had some dry skin patches on my face (which I actually think was caused by the sun we had last weekend) and this has been amazing help at getting rid of it! Usually, I didn't use a toner in my skincare routine because I struggled to find one that wasn't too strong and didn't make me break out. But wow - this is currently my favourite toner and I could not live without it. It's my first time trying out Pixi Beauty and I am very impressed. 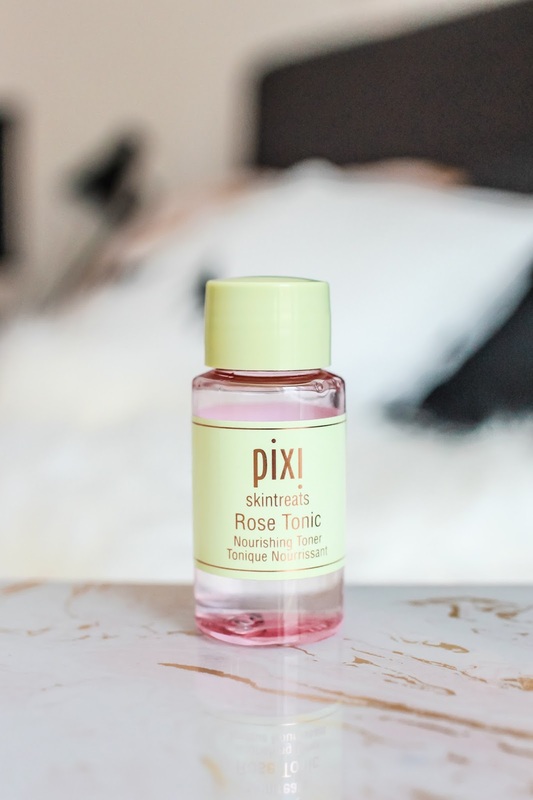 This toner has got rid of my impurities and pesky little spots. I also had redness around my nose which has gone! I wish I had a bigger bottle of this and I would love to try the Glow Tonic toner. I couldn't rate it enough! 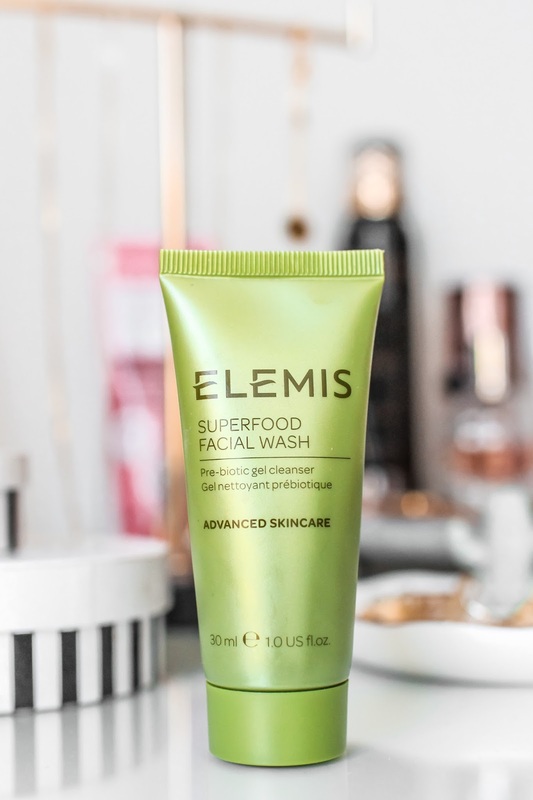 I received this in my Tilli Beauty box so it's only a miniature, but I have been loving this facial wash recently! It does not dry out my skin which is always a problem I find. And it smells very refreshing! A little goes a long way with the product so I even though I have a small bottle, it's lasting me a long time. I only use this every other day and I think this helps my skin not dry up.